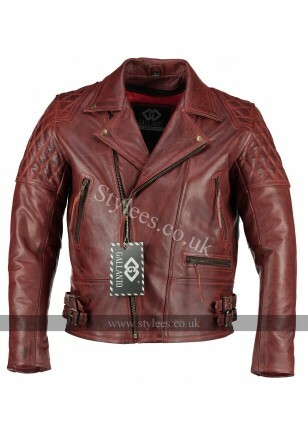 Relaunching our classic diamond leather jacket in a new shade of red! 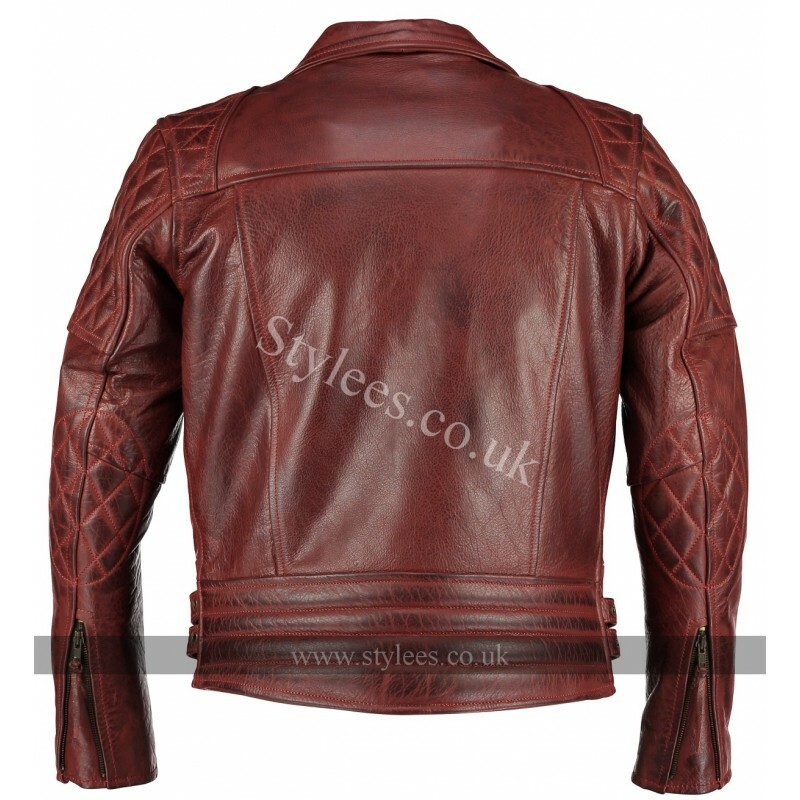 This deep red is eye catching and the different shades give a sought after vintage look. 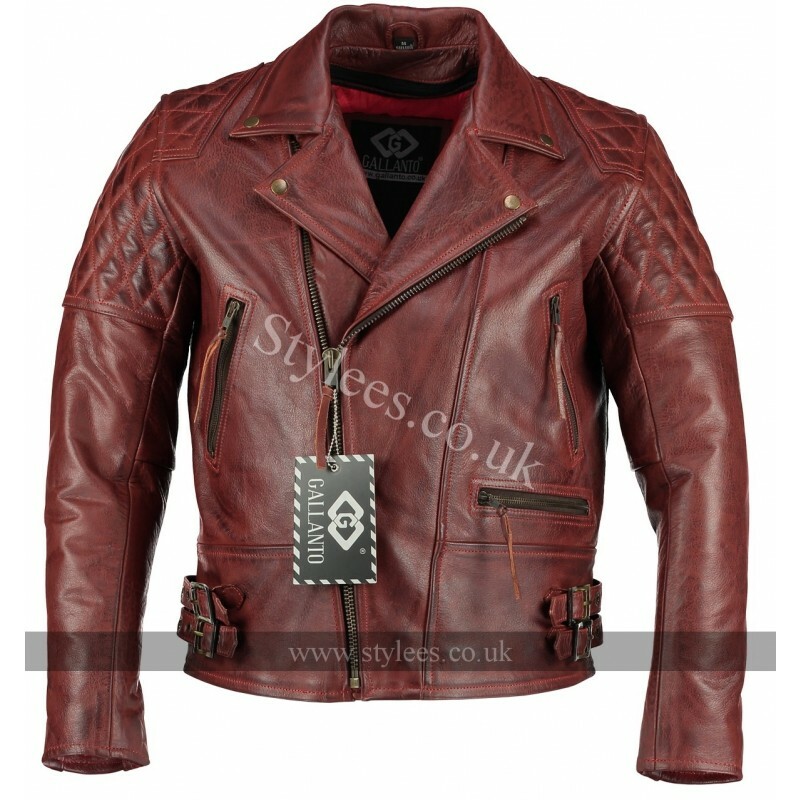 Made from top quality cowhide leather which is approximately 1.1 mm in thickness, this biker jacket is durable and long lasting making it not only a great buy but a great investment. We have kept the classic cross hatch design on the shoulders elbows and back along with the flap collar and YKK zippers which gives it that edgy rock look. The jacket also comes with double lining, one attached which comes with armour pockets for the shoulders, back and elbows. The other which is removable and can easily be zippered out. Both linings have pockets to store valuable items. The buckle straps on the waist can be adjusted to suit your fit and the zippered cuffs can also we left open or closed for a tighter fit. ● Hidden pockets for valuable items.